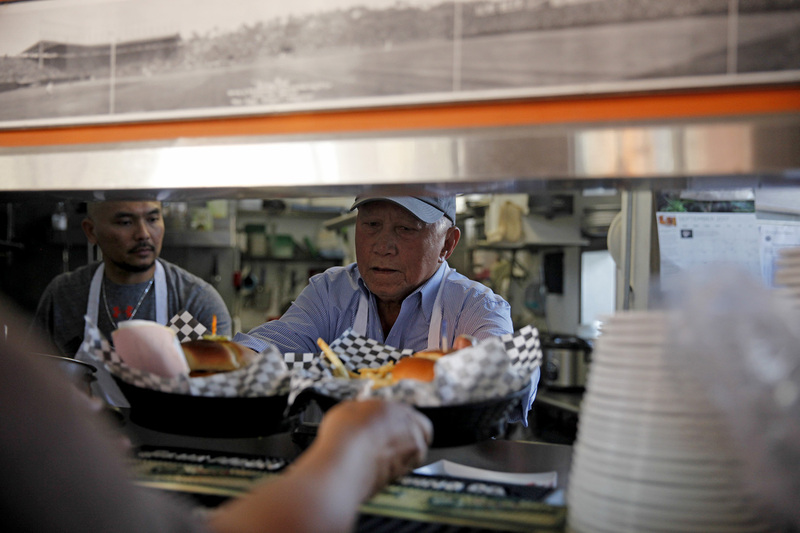 After 60 years as a fixture for Filipino food and culture on San Francisco’s waterfront, the owners of SB40 restaurant — formerly Carmen’s — say they are being forced out of their Embarcadero location, and for now, out of business entirely, by the Port of San Francisco. The San Francisco Port Commission Tuesday unanimously approved a process to begin finding new tenants for the 1,630 square foot space. The space is becoming available at the end of October after SB40 “voluntarily agreed to surrender the site” in a written agreement with the Port, according to a Port staff report presented to commissioners. Carmen’s has operated at Pier 40 after being “temporarily” relocated away from their long-time 4th Street location due to Muni construction in 2006. The business rebranded as SB40 in 2012. Solis, along with Hardy and Rejilyn Barles, 40, Carmen’s niece, said they had been engaged in discussions with Port staff since September 2016 regarding the future of the space and their restaurant. In the fourth and final meeting in April, the family’s business plan was rejected, and demands the family calls excessive were linked to any continuation of the lease. Barles said Port staff visited the restaurant later in April, hand-carrying the termination agreement for Solis’ signature. Solis expressed reluctance to sign, Barles said, but that Port staff reminded Solis of his verbal commitment, saying that by signing, SB40 was guaranteeing an Oct. 31 closing date, rather than risking earlier termination of their month-to-month lease. Annual rent for any new tenant at the restaurant space is expected to begin around $68,000, or $3.50 per square foot with a 7 percent gross revenue share with the Port, according to Renée Dunn Martin, Port spokesperson. But Hardy Barles, who with Rejilyn manages SB40, told SFBay the Port had presented the family with a much higher number for rent during discussions — $7 per square foot per month for their 2,100 square feet of restaurant and storage space, or, by their calculations, more than $175,000 annually. SB40’s current annual baseline rent is $22,248 ($0.88 per square foot per month) plus 8 percent of food and 10 percent of beverage sales, according to Barles. He said the family had proposed a rent of $3.50 per square foot during discussions with the Port, but that their projections and business plan were turned away. Amid the discussions with the Port, Barles filed an application for SB40/Carmen’s to be added to San Francisco’s freshly-minted Legacy Business Registry, which offers grants to businesses and their landlords to assist with rental costs. Even if SB40’s Legacy Business application were approved, any rental assistance could not be used for their current Pier 40 site, according to Marianne Thompson, spokesperson for the Office of Economic and Workforce Development. The City can not provide grants to be paid to another city agency, in this case the Port, Thompson said. SB40’s Legacy Business application remains pending in front of the Small Business Commission, but no action has been scheduled. Thompson told SFBay The City is working with the owners to identify a potential new location in the SoMa Filipinas Cultural District, between Market and Brannan Streets and 2nd and 11th. But such a move would strip Carmen’s of its waterfront legacy, having occupied sites along the Embarcadero beginning in 1960, and also perched on pilings above Mission Creek Channel alongside the drawbridge at 4th Street south of Berry starting in 1984. In 1957, Carmen Ferrer Solis founded Carmen’s, a family-owned restaurant and woman- and minority-owned business decades before any formal designations were even conceived. Solis used a loan to start the business, an obligation paid back within 1-1/2 years, according to the family. 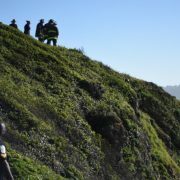 SFBay sportswriter Eli Walsh contributed reporting to this story.